Sciatica is typically called a condition, but it’s a symptom of pregnancy, injury, and specific health issues. If you have sciatica, you might experience tingling or numbness in your lower back and down one leg, but Dr. Darin Stokke of Lifestyles Healthcare Group in Fort Myers, Florida uses his expertise in chiropractic care to alleviate your sciatica symptoms. He helps you find relief through compassionate and innovative treatments like RockTape and a class 4 deep tissue laser. To learn more, call Dr. Stokke’s office to schedule an appointment or use the online booking form. Sciatica describes pain that extends from the sciatic nerve in the lower back and possibly throughout the hips, buttocks, and down one leg. It’s unusual for sciatica to affect both legs simultaneously. The effects of sciatica may vary from mild pain to intense burning or severe pain. If you have sciatica, you may have symptoms in the lower back that radiate down the legs such as numbness, burning, and tingling. Muscle weakness is possible as well. Your symptoms may worsen when you cough, sneeze, or sit for prolonged periods of time. Sciatica occurs as a result of compression of the sciatic nerve, which is the largest nerve in the body. Certain factors increase your risk of developing sciatica, such as age, obesity, a labor-intensive job, prolonged sitting, or diabetes. How does a chiropractic adjustment treat sciatica? A spinal adjustment consists of Dr. Stokke using his hands to manually move the spine to alleviate pressure on the muscles and nerves surrounding it. That realigns the spine to improve function while reducing your pain. Massage therapy and hot and cold therapy are other options. How else can a chiropractor treat sciatica? Besides the standard chiropractic treatments, Dr. Stokke takes a modern approach to relieving sciatic nerve pain. He may use RockTape, a kinesiology tape used on injuries to the back, as well as other areas of the body. RockTape pulls the skin away from the muscle and fascia to reduce your pain. Another treatment Dr. Stokke uses for sciatica is a class 4 deep tissue laser, which uses a 20-watt infrared laser that reduces pain and inflammation while increasing blood flow throughout the area. The laser treatment promotes tissue repair, resulting in a quick recovery time. 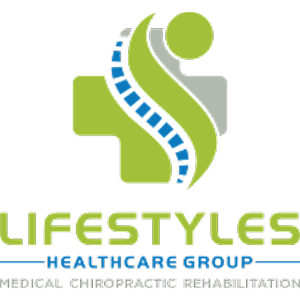 If you’re looking for a noninvasive treatment for your sciatic nerve pain, call or schedule an appointment online with Dr. Stokke at Lifestyles Healthcare Group today to experience the power of both traditional and modern approaches to chiropractic care.